I'm talkin' art here, not “raindrops on roses and whiskers on kittens.” And, to narrow it down, my favorite art from some of the lesser-known, small art museums in Manhattan. (I’ll do the outer boroughs and New Jersey another time.) I also want to focus some attention on the lesser-known work in these museums. 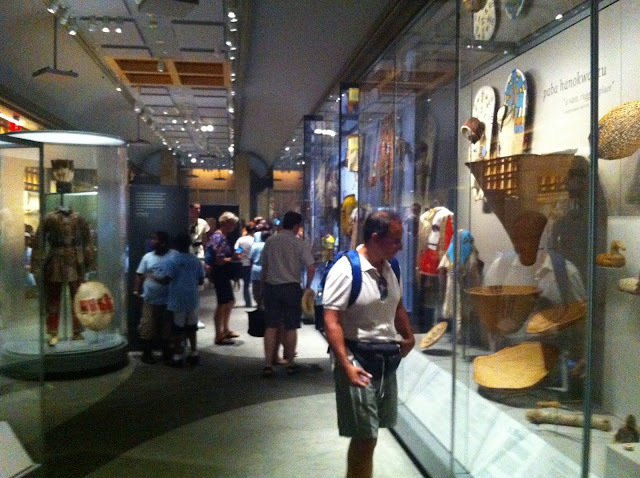 You can easily do all the small museums on the West Side in one day; the East Side museums would require more endurance, but it’s also possible to do in a day. 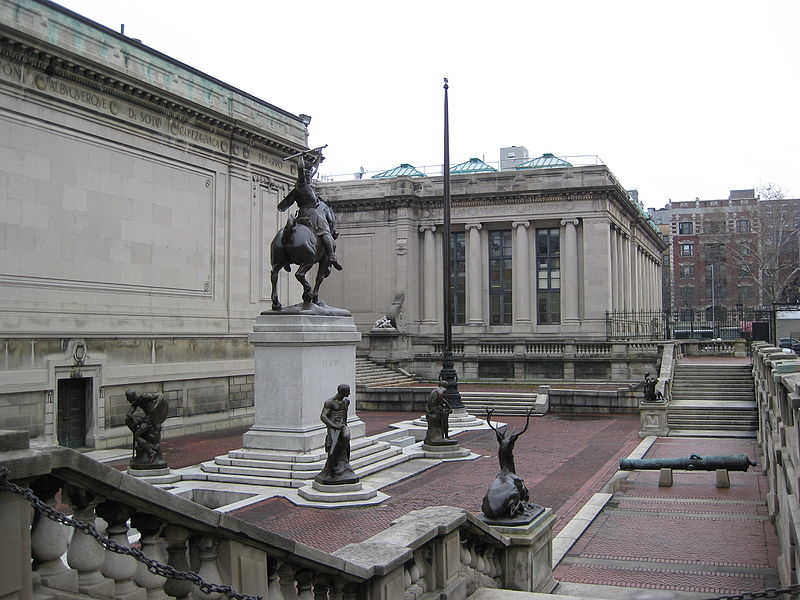 On the West Side, I began at the Hispanic Society and worked my way downtown via the Number 1 train which has a stop no more than a block away from all the West Side museums. Photography without flash is permitted in the museum. 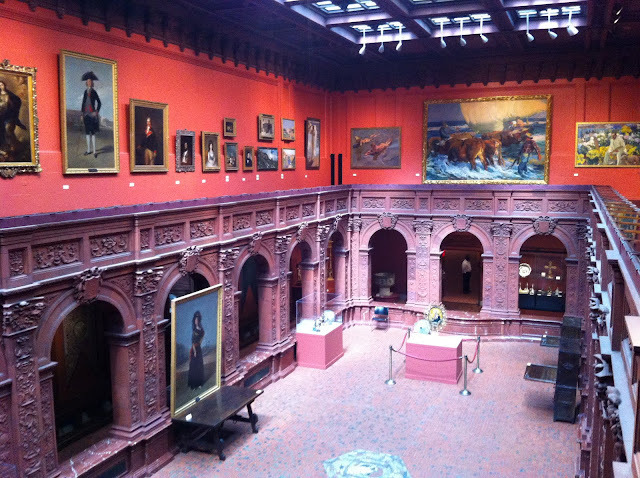 The museum is part of Audubon Terrace, an early 20th-century Beaux Arts complex of eight buildings that is worth the trip by itself. The site includes the American Academy of Arts and Letters, and is the former home of The American Geographical Society, the American Numismatic Society and the Museum of the American Indian-Heye Foundation. Exterior of the Hispanic Society showing some of the Audubon Terrace complex. The Hispanic Society specializes in Spanish, Portuguese, and Latin American art and artifacts, and they also have a rare book and manuscript research library. The guards are knowledgeable, helpful and friendly, if perhaps a little too attentive sometimes. 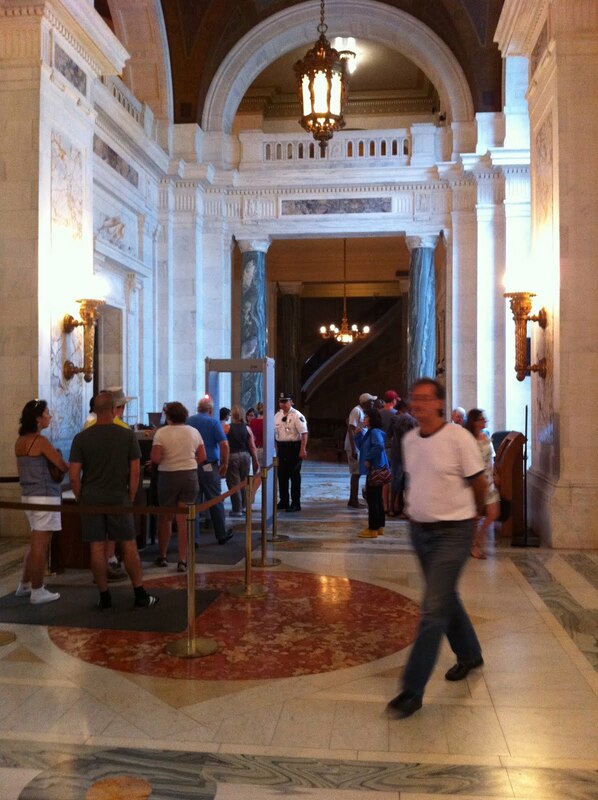 The interior of the Hispanic Society is a work of art in itself, but it’s a bit dark in places. Even the bathrooms are worth checking out. Most of the paintings are hung close together, and they're on a balcony which doesn't allow you to step back and view the work — but what great work it is! They have some of the best paintings by Velazquez and Goya in the country. 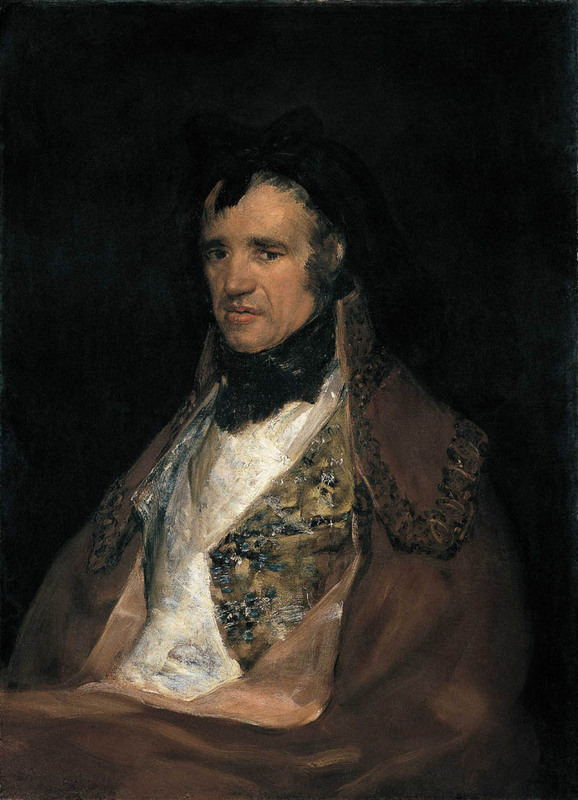 Francisco de Goya y Lucientes, Pedro Mocarte, 1805, oil on canvas, 30 ½ x 22 ½ inches. And they also have an extensive collection of ceramics and hardware like this fun 15th-century knocker hammer. Knocker Hammer, 15th Century, iron (Hispanic Society). Taking up about a quarter of the main floor is the Sorolla Room, a massive series of paintings by Joaquin Sorolla y Bastida created from 1911 to 1919 that depict scenes from each of the provinces of Spain. Finally, for a scholarly institution their website is surprisingly unhelpful. There are very few reproductions and little information about the work in their collection. 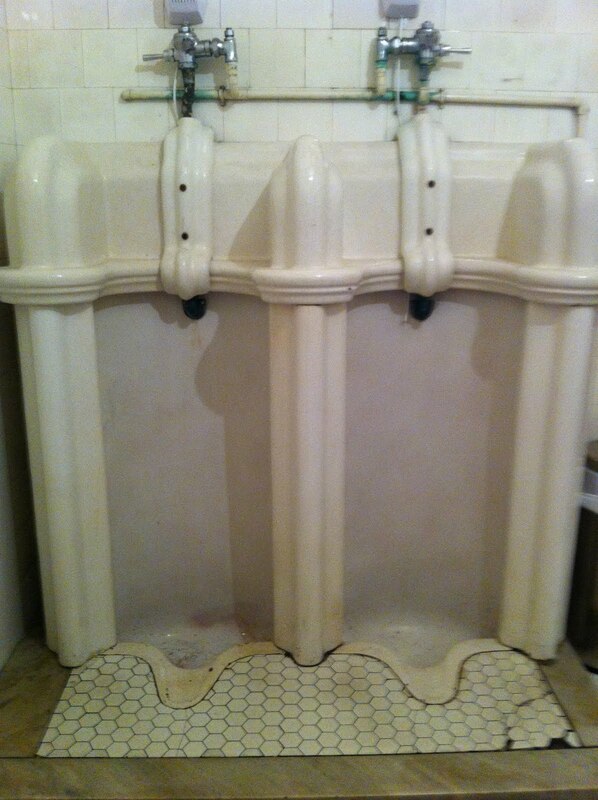 This is a sad case study in museum over-extension. They built a new show-piece building near the Museum of Modern Art that they could not afford and recently ended up selling it to the Modern and moving to this very modest space. The museum store is in the front and takes up about a quarter of the space. 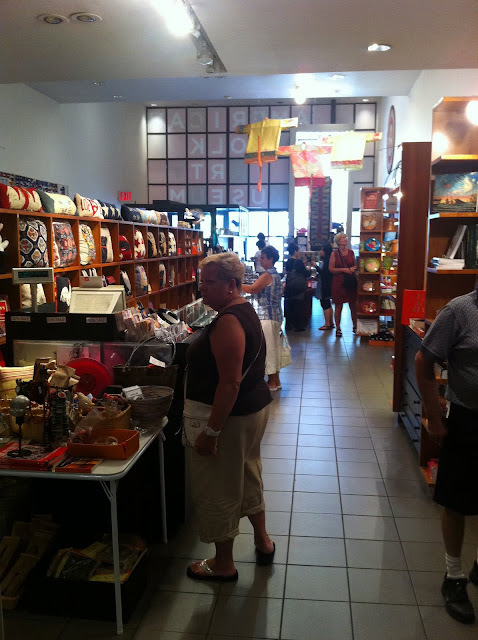 American Folk Art Museum store. Artist unidentified, United States, 1900-1940. 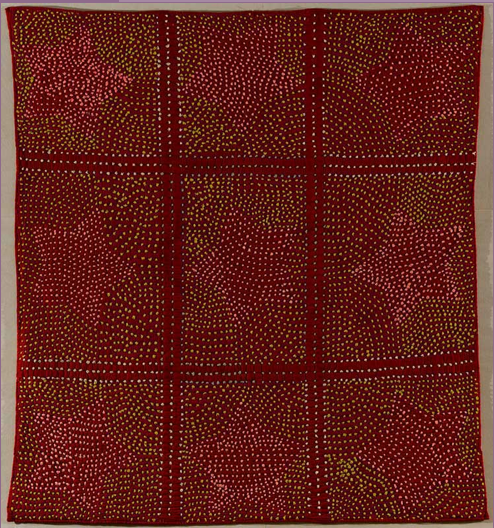 Cotton with cotton and wool embroidery, 76 x 71 inches. Gift of Mary and Al Shands. (American Folk Art Museum #2008 8.1) Photo by Gavin Ashworth. 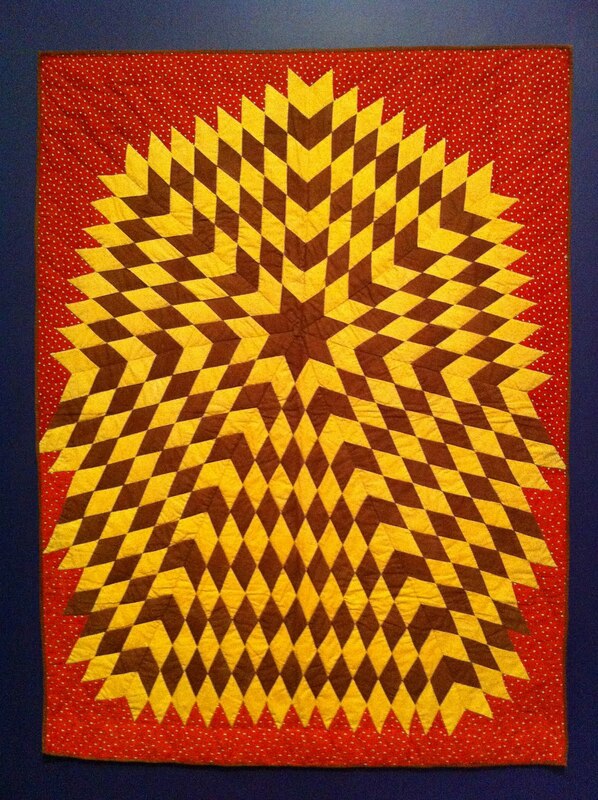 Artist unidentified, Starburst Crib Quilt, 1880-90, Maine, cotton (American Folk Art Museum). Friday, 11 am - 10 pm; Saturday and Sunday, 11 am - 6 pm. Admission: Adults - $10.00; Seniors (although I believe seniors are also adults) and students - $5.00. No photography of the work is allowed. The Rubin Museum of Art is dedicated to the art and culture of the Himalayas. It’s a fairly new museum -- it opened in October, 2004 -- and they did a beautiful renovation to what used to be Barney’s department store. They have an active and creative educational program that includes music, film, lectures, meditation, and storytelling. Even their cafe features Himalayan-inspired food. Their website has slide shows, audio tours and podcasts, blogs, educational PDF’s and lots of information on related art and culture. They are a very hip organization. On the second floor there's an exhibition of work from their permanent collection titled Masterworks: Jewels of the Collection — and they are masterworks indeed! 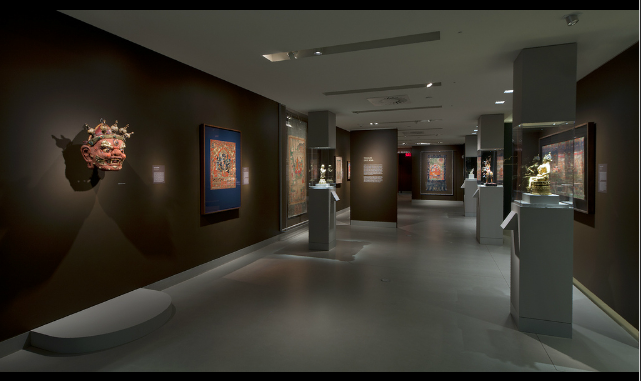 Installation view of Masterworks: Jewels of the Collection (Rubin Museum of Art). The rest of the space has an extraordinary number of changing exhibitions: Human Currents: The World’s Largest Pilgrimage (until October 24, 2011); Patterns of Life: The Art of Tibetan Carpets (until August 22, 2011); and the newly opened Gateway to Himalayan Art (until January 1, 2012). The exhibition that made the biggest impression on me was Quentin Roosevelt’s China: Ancestral Realms of the Naxi (until September 19, 2011). The Naxi, mostly unknown in the West, are one of China’s 55 minority nationalities. They live in a remote area of southwest China and have their own distinctive religious and artistic traditions (called Dongba) — including the world’s only living pictographic script (see photo below). Dongba Pictographic Manuscript Pages, created some time between the 18th century and 1949, ink and paint on paper. From the Harvard-Yenching Library ID# B63 - 04 (The Rubin Museum of Art). 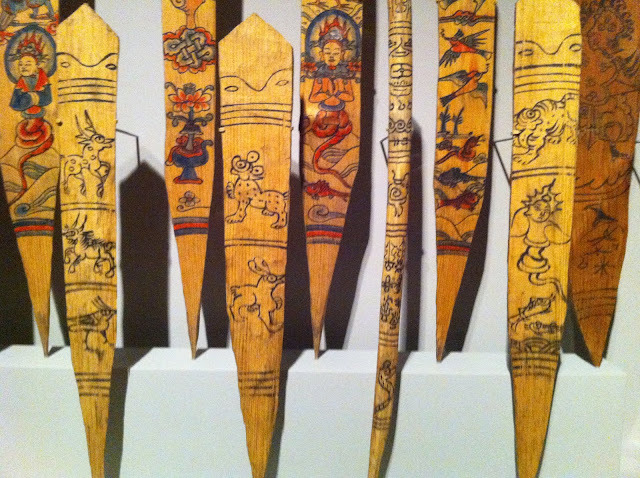 Ritual slats (Kobiu) with animals and Naga dieties (The Rubin Museum of Art). Dongba priests insert these ritual slats into the ground to show their respect to the spirits and the gods of nature. The animals are chosen to represent the totality of the realm of nature. Hours: 10 am - 5 pm every day; Thursdays until 8 pm. The entrance to the National Museum of the American Indian. Security, like all the Smithsonian Museums, is very tight. This museum is a big disappointment - it has become a cultural museum like its Washington counterpart, to the detriment of traditional art. 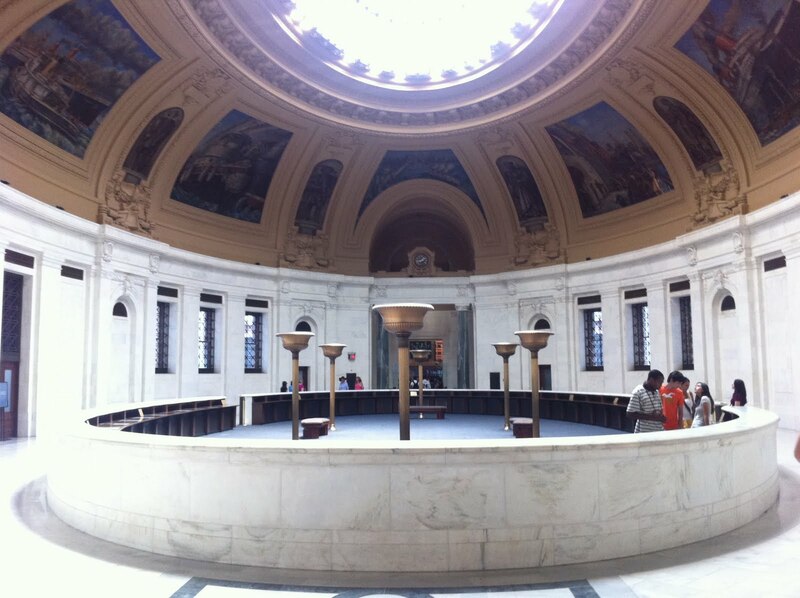 In addition, most of the space is taken up by large corridors and a huge empty rotunda. It’s a grand Beaux-Arts space designed by Cass Gilbert in 1907 and was the Alexander Hamilton U.S. Custom House, but it doesn’t serve this art well — at least not the way they’re currently using (or not using) the space. Rotunda of the New York branch of the National Museum of the American Indian. Half the remaining space is taken up with contemporary art and another quarter with a theater — mostly empty. 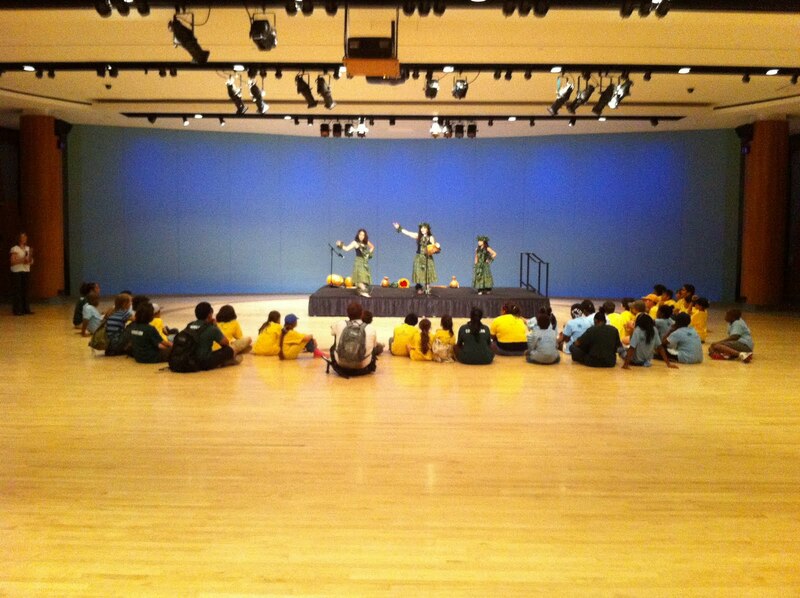 Theater at the National Museum of the American Indian - they are teaching children how to hula. Very little of their enormous permanent collection is on view — it’s just like Holland Cotter observed — and what little they do display is behind glass cases and difficult to see. 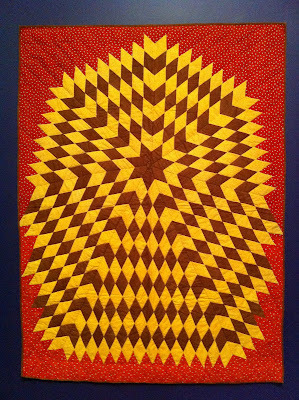 Permanent collection, National Museum of the American Indian. They have an excellent website, though, with photos of and information on everything in the collection. I've not been to Hispanic Society but will put it on my list for my next visit. The others I know well and they're among my favorites, too. I especially like the Rubin.